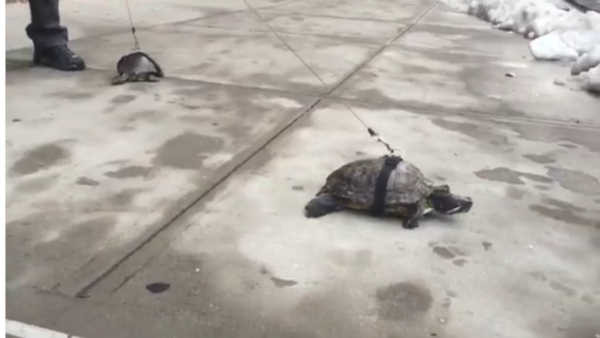 EAST HARLEM, Manhattan (WABC) -- It's not something you are bound to see every day - a man walking not one, but two pet turtles. Eyewitness News Reporter CeFaan Kim caught up with the man taking the two reptiles out for a leisurely stroll on Saturday afternoon. Who said it would be a 'slow' news day?